Play OldSchool RuneScape Classic on your mobile device! Anywhere at any time! for a chance at trimmed or god armors! Sell and buy with ease in our in-game market! You'll never need a second window for quest guides again! Our GUI is a handy resource for original & new quests alike. Years of expertise at your fingertips! Size up monsters and their drops with ease. Think of it as your RuneScape Pokédex! that you won't find anywhere else! We have added 3 new rules and configurable equipment rules! in wilderness and custom battles! -Fixed cooking gauntlets not actually giving you any boost in cooking level. -Fixed Ring of Embers effect not being applied properly. -Slayer point store is now fixed. -Fixed Lady Val requiring 60 combat and 40 slayer instead of either of them. Muted Players can no longer use PMs, Party Chat, or Team Chat. If you are muted and need assistance, please use our support ticket system. Incorrect idle time out message has been fixed. 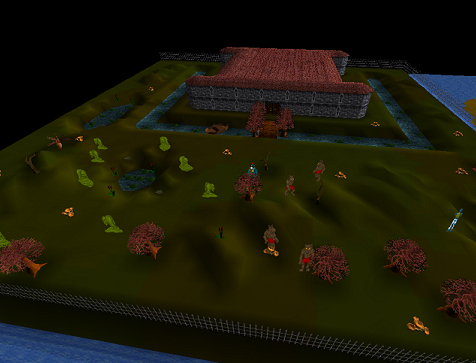 1IP radius around fort has been made smaller as it was preventing a player from taking a character to KBD. 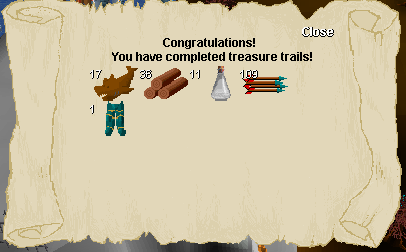 2) Bug fixed where you were able to catch your target in the wilderness before the wait time was over. 1) IP check for Team Fort is no longer blocking shared characters. Team Fort remains 1 character per IP limit. 2) Fort timer has been changed back to 5 minutes before you are able to enter on a different character. 3) East Wild has been changed. 1 IP has been removed and this zone is now 1v1. We have all been listening to the PKers, and what they have been asking for! We have implemented a few wilderness changes. These are just a few, in a line of changes and updates we are working on, while talking 1 on 1 with PKers about the needs and fixes. We do understand that we will never be able to please every PKer. The fixes below are some of the most popular requests. We are happy to release the following today! 1) 1 IP fixes. = We have implemented more secure measures to prevent Multi while in a 1 IP zone. Free PKing weekend is live until Monday, which means the Cursed Warrior in Edgeville will provide free rune sets, food, potions, and unlimited casts. These items will disappear on Monday. 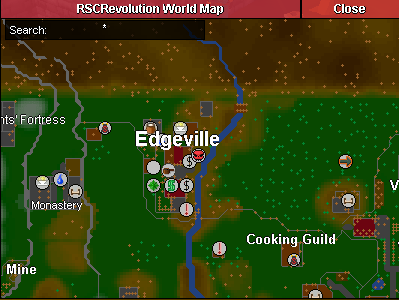 We have also made some changes to the border north of Edgeville to accommodate and promote 33s PKing. 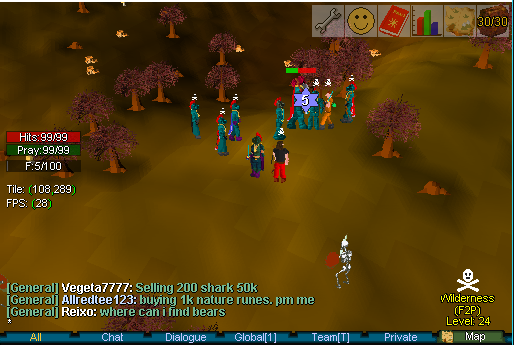 We have big plans for the PKing scene for the end of this year. 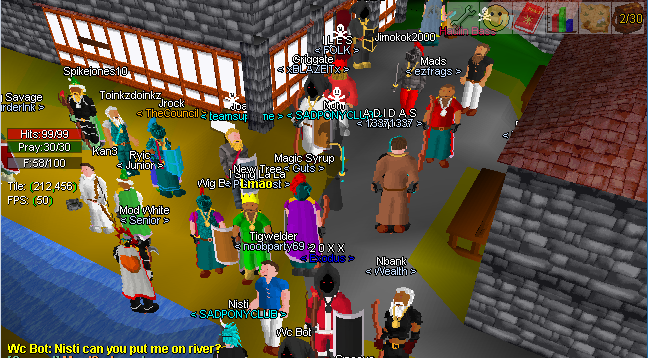 [*]PKing global chat (channel ::2) will now notify players of how many 33s are at Edgeville border. Should we allow players to vote for wilderness rules on daily basis? 52%- 1. Yes, allow players to choose how they want their wildy! 48%- 2. No, follow the rules & rotations put in place by staff. Check out the full lists of the best slayers on the highscores. Check out the full lists of the best players on the highscores.